This is a dark retelling of the Cinderella story. Instead of featuring a kindly fairy-godmother, and a coach made from a pumpkin, and footmen who are mice, there is the kind of fairy usually featured in older fairy tales: one who demands a high price for granting wishes. 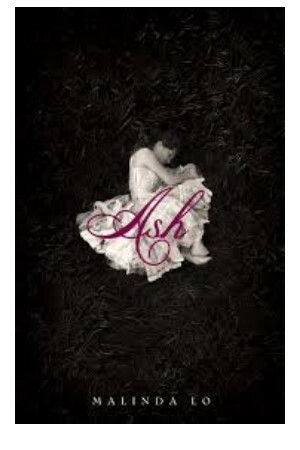 Ash, the Cinderella figure, has known a fairy, Sidhean, since the time that her mother died. He has refused to grant her wishes to return her mother to life, or take her to fairy land, where she believes she will find her mother living. As she grows older, and accepts the death of her mother, she has other wishes, and Sidhean agrees to grant two of them: that she can participate in the King’s hunt, to which she has been invited by the King’s huntress, Kaisa, who she has become friends with after meeting in the woods a number of times; and the traditional Cinderella wish that she can attend the King’s ball. The price she agrees to pay for these wishes is to belong to Sidhean, to whom she has felt personally drawn. He tells her he will collect his payment at a later date. But it is at the ball that she realizes that she the price to which she has agreed is too high: she finally realizes that it is Kaisa with whom she is in love. Whether or not she can renegotiate a price with Sidhean is questionable, and it is not only her future with Kaisa that hangs in the balance, but her warm friendship with Sidhean. This book is highly recommended for teens who enjoy fantasy, and for all readers who enjoy reading fairy tale variations.